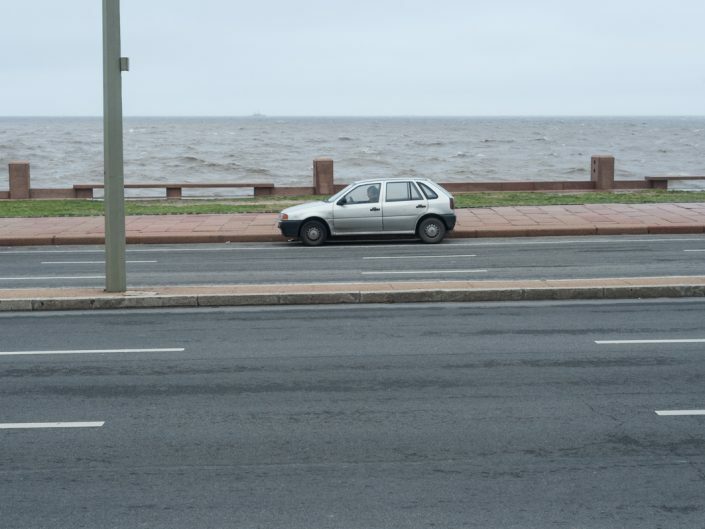 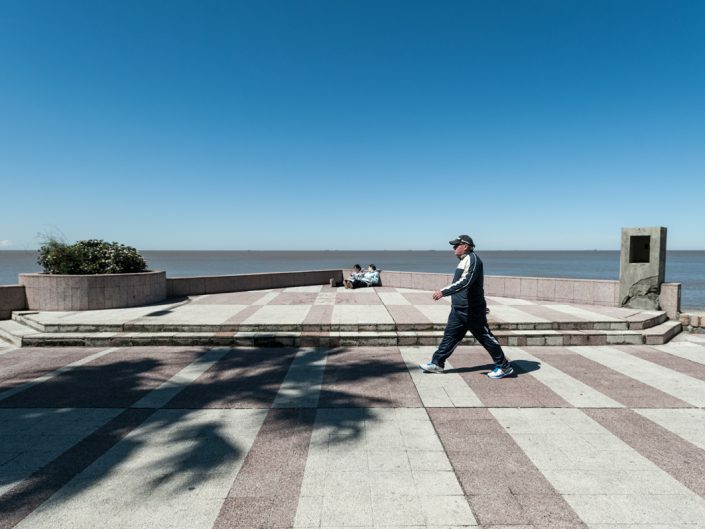 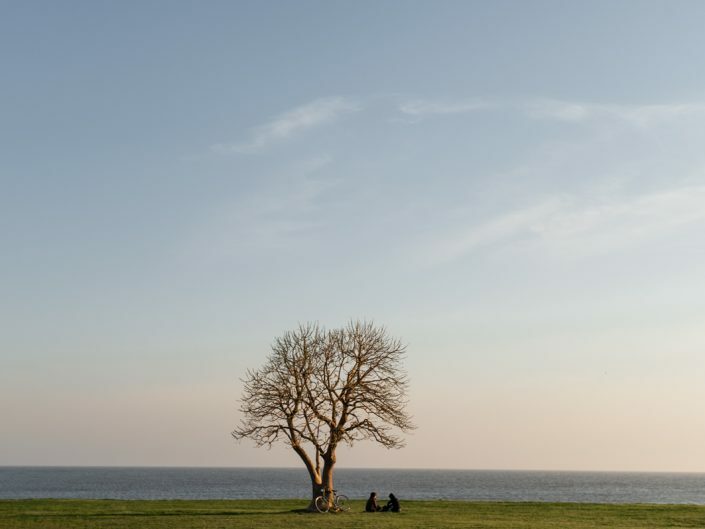 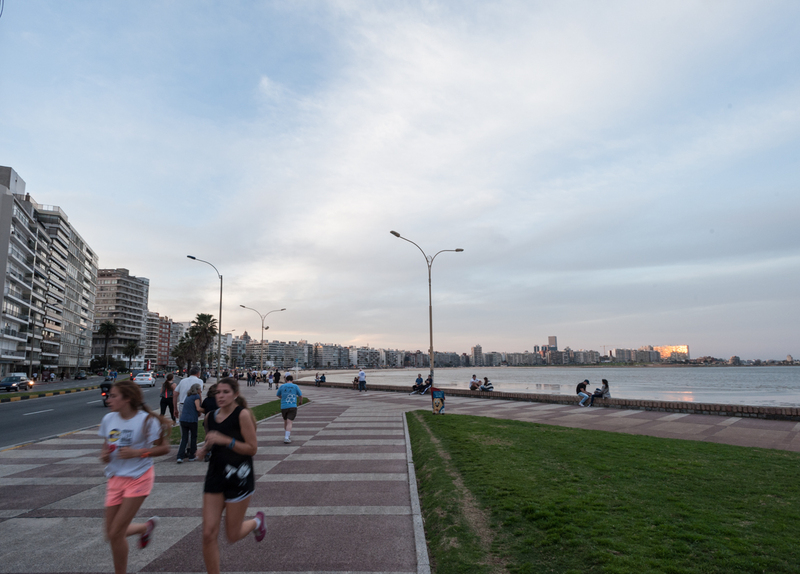 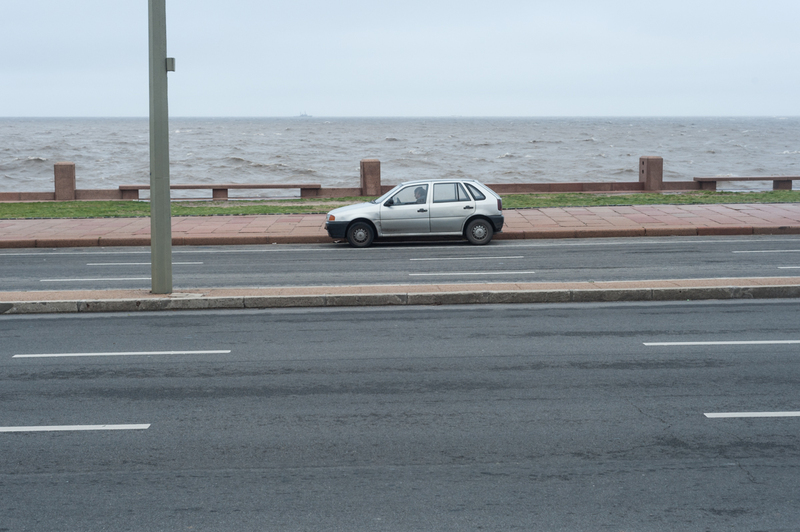 In Montevideo, Uruguay, the “Rambla” is indeed a special place; it runs for 22 Km. 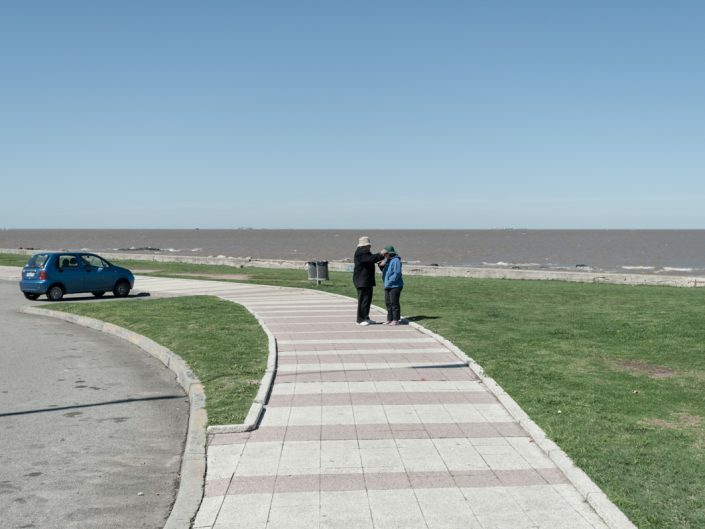 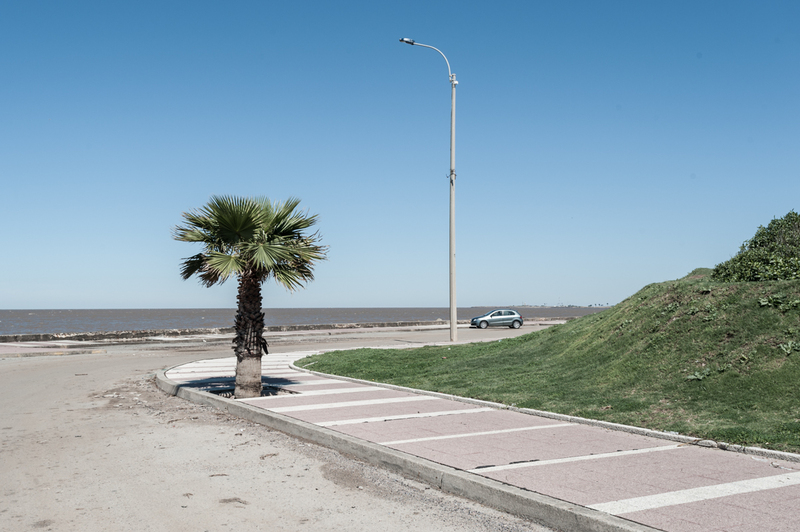 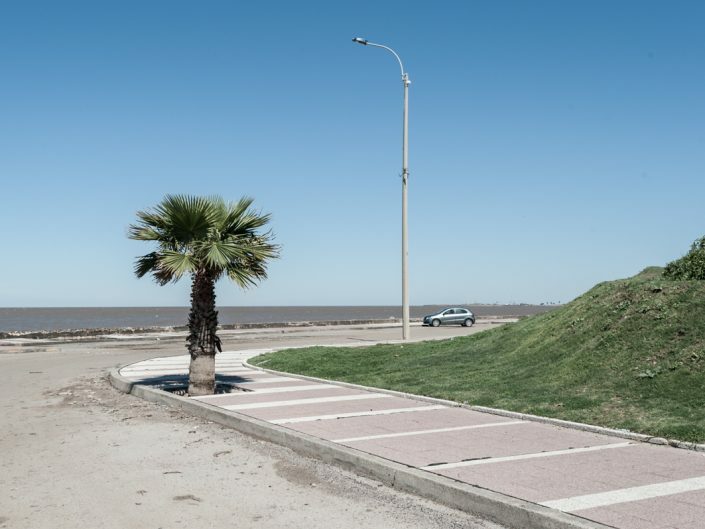 along the extension of the capital city and it represents the end line, the end line where the ocean (still mixed with the Rio de la Plata) begins. 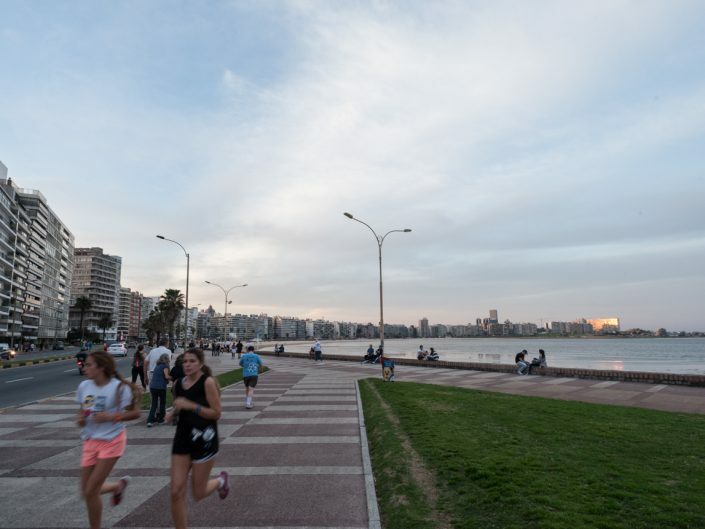 As such, it very popular among the Uruguayans living in Montevideo of all ages, as they spend considerable amount of time enjoying the numerous facets of its environment, mostly in very healthy ways (talking, running, chilling, biking, fishing, skating, playing football, jogging, walking, watching, sitting, thinking) while, of course, constantly sipping on their mate. 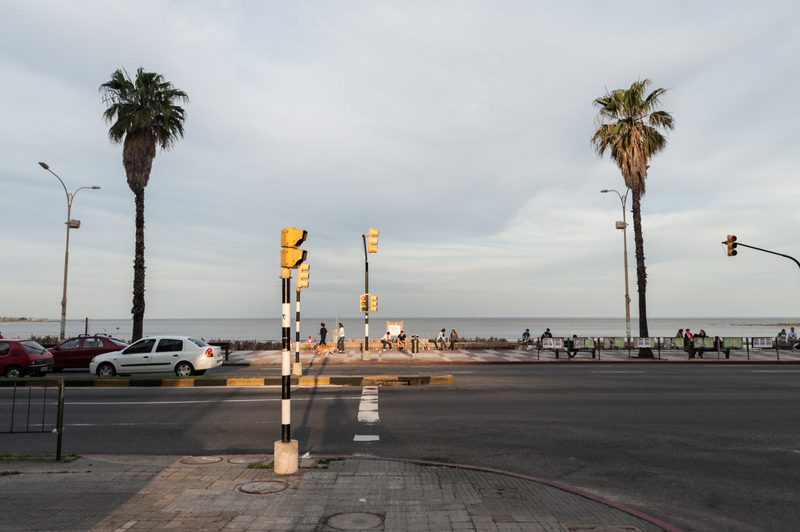 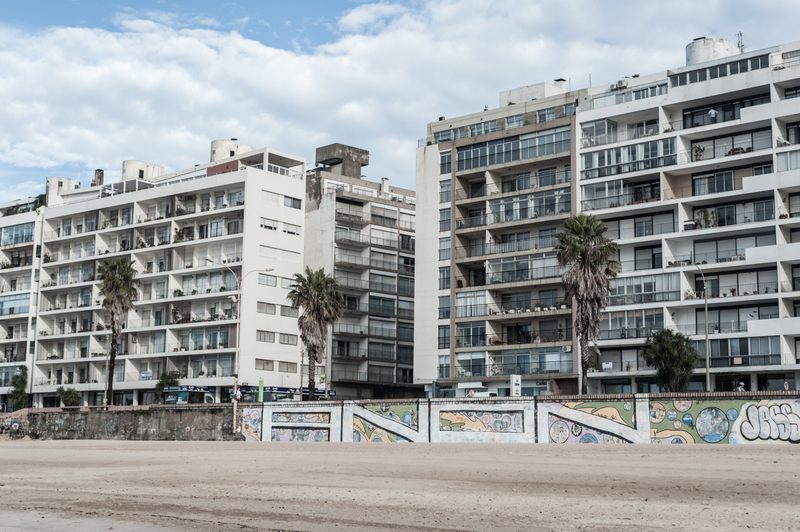 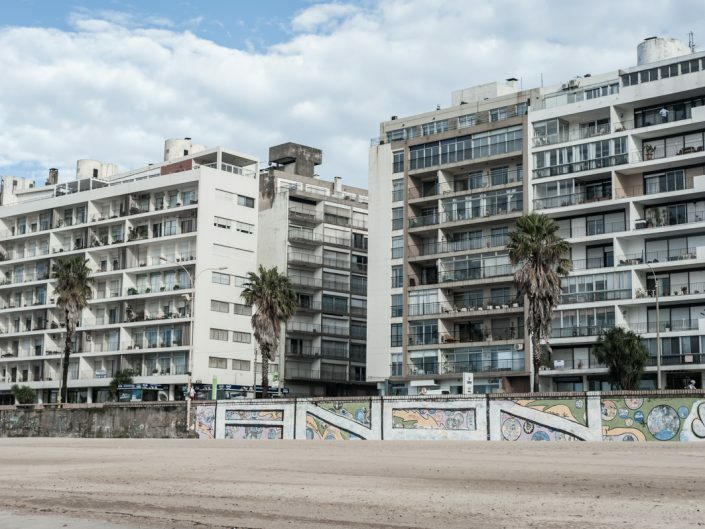 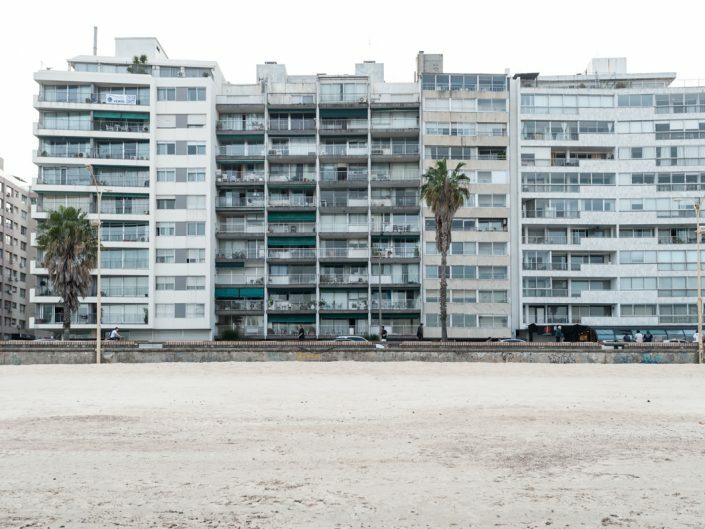 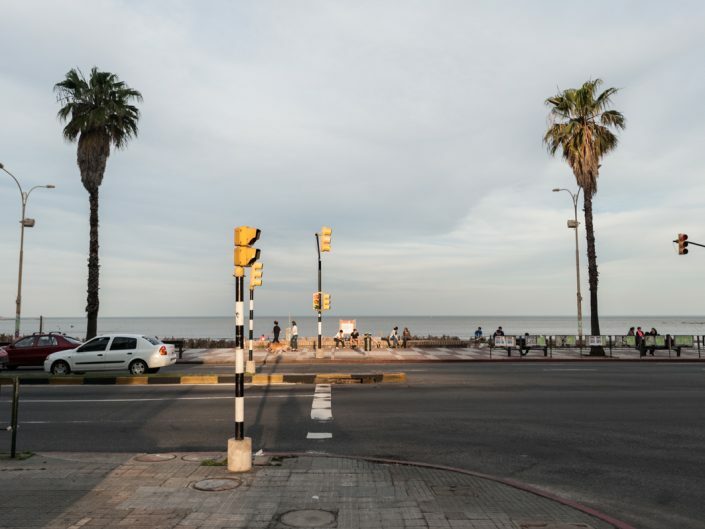 During my stay in Montevideo I could not but get fascinated by how life goes on along the Rambla; its relevance is at the same time sociological, environmental, geographical, architectural, economical, urban and political. 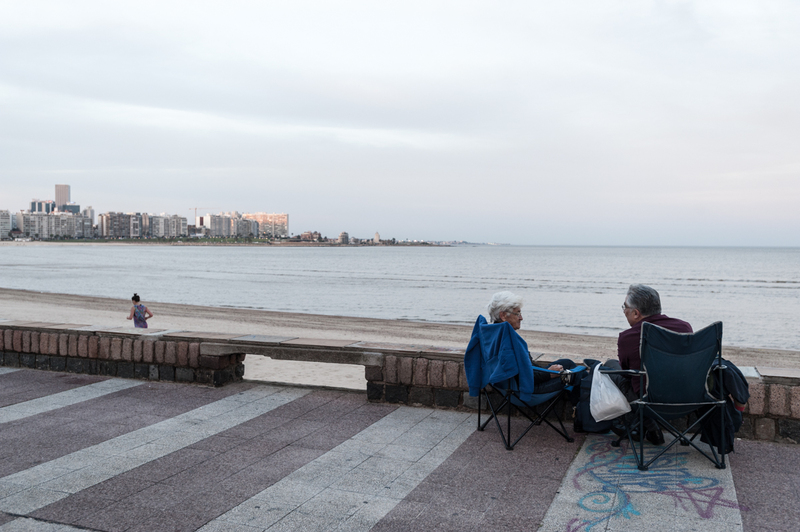 Everyone is just another person when on the Rambla, facing the ocean, no matter if he or she belongs to the highest or lowest social class; it is an open and free space for everyone, a healthy, beautiful, open space by the ocean, simply to enjoy. 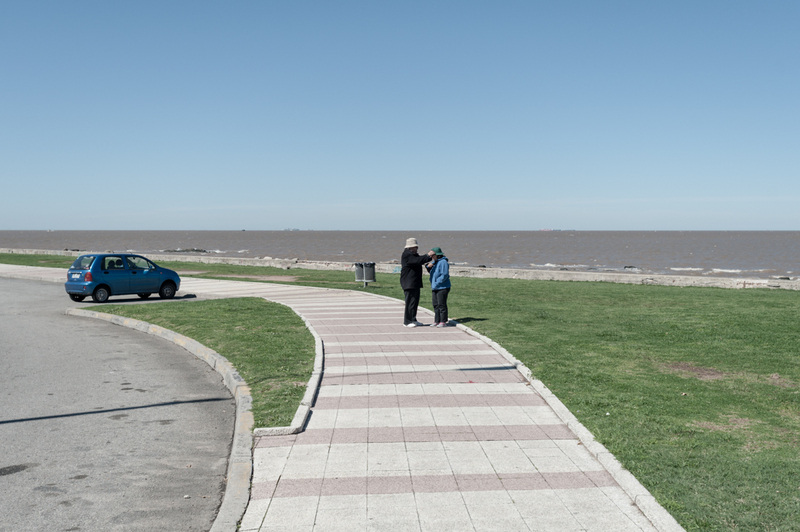 Local people, as much as foreigners, do enjoy it a lot, yearlong. 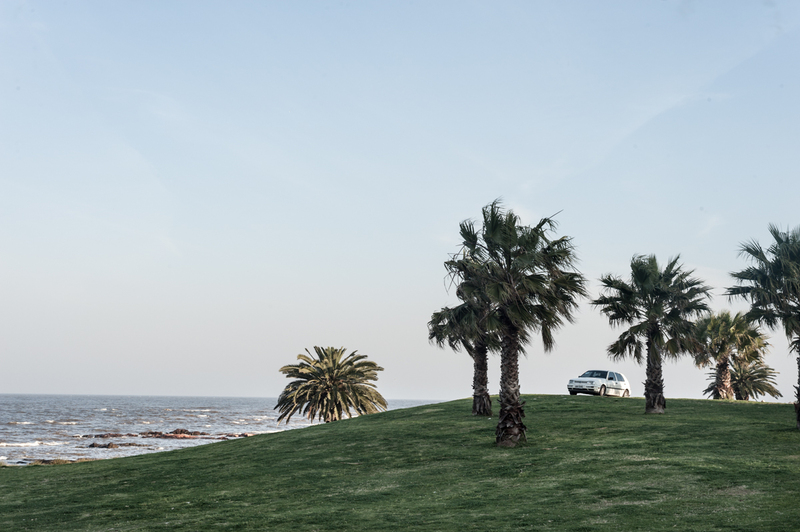 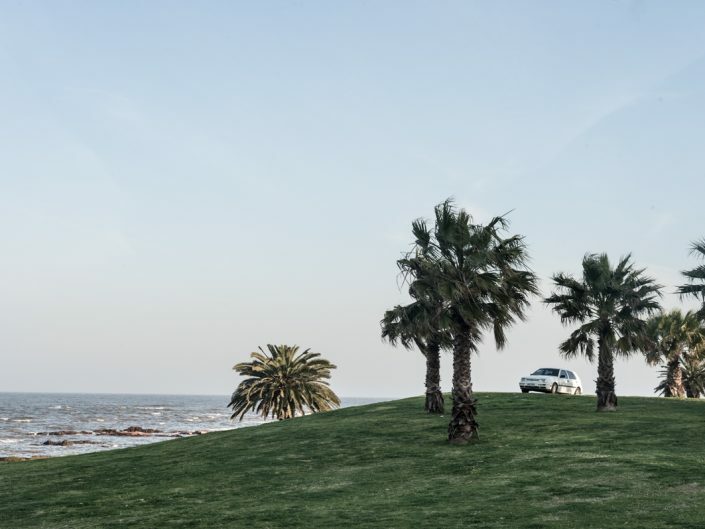 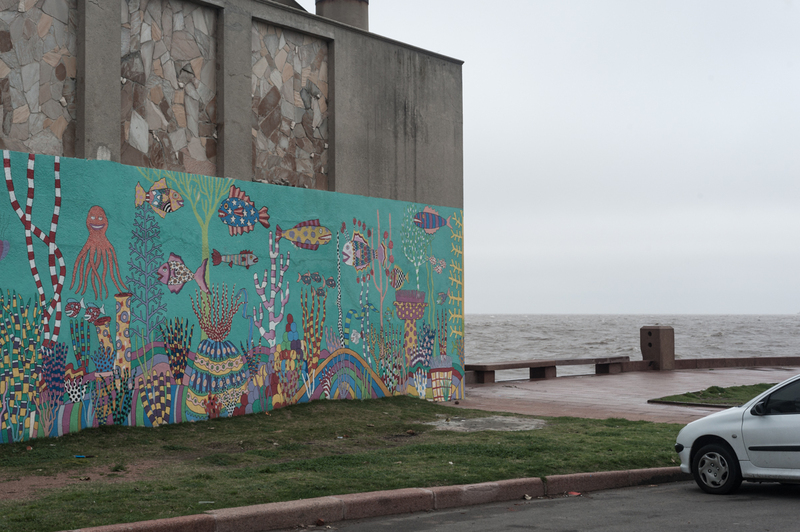 It an unpretentious and yet magic place, as unpretentious as life is in Uruguay. 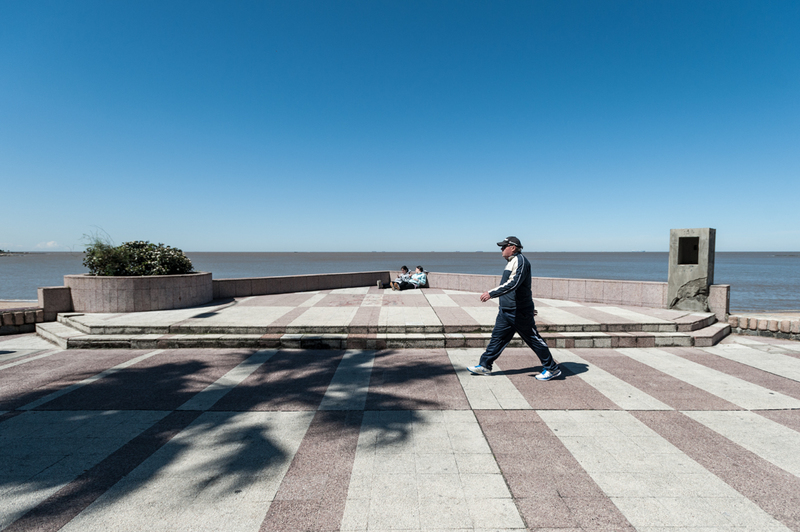 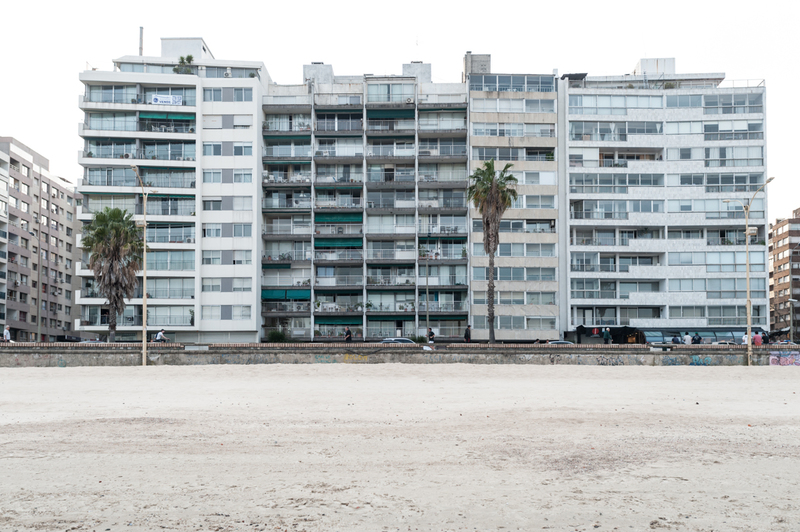 In this gallery, far from being any kind of in-depth project, I bring my outside-vision of this space/place, the Rambla. 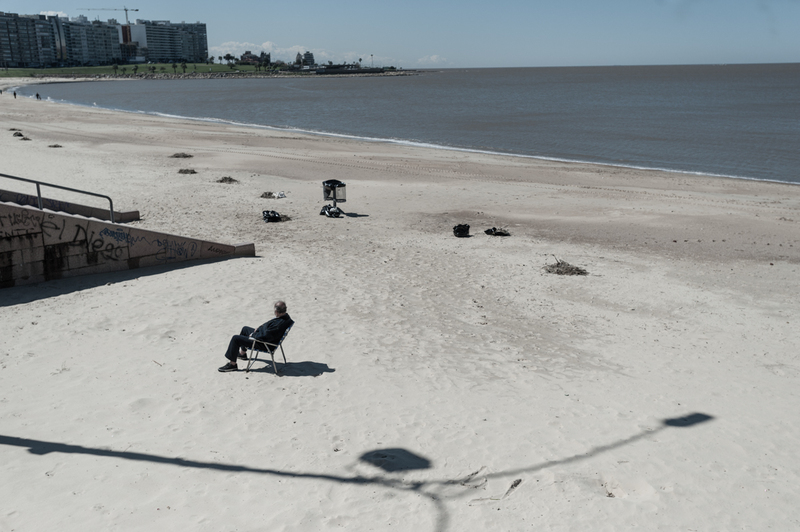 Maybe eventually with a ‘rock-and-roll’ soul, it was to me a very quiet, relaxing, decongesting place, a place of escape and rest. A place where people are free to ramble on in peace. 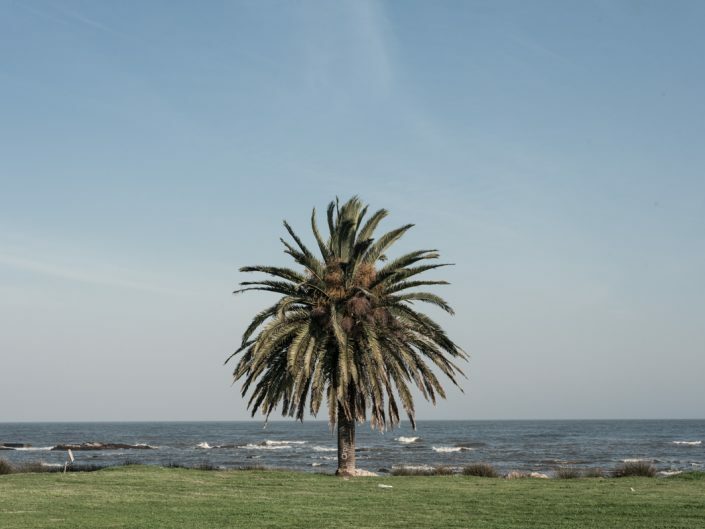 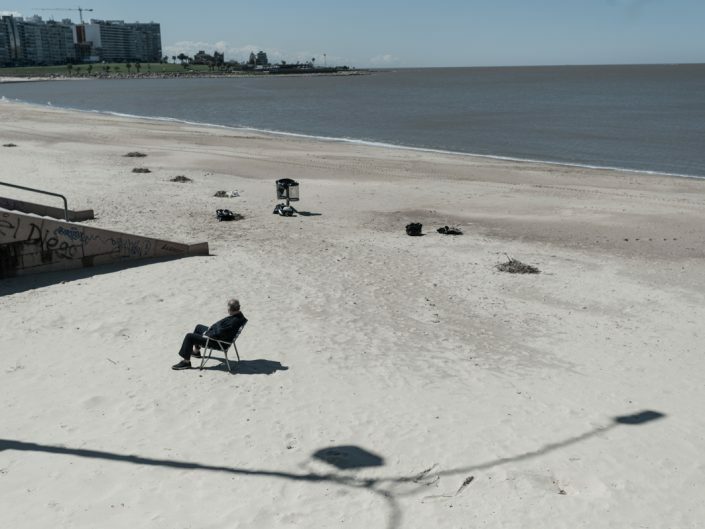 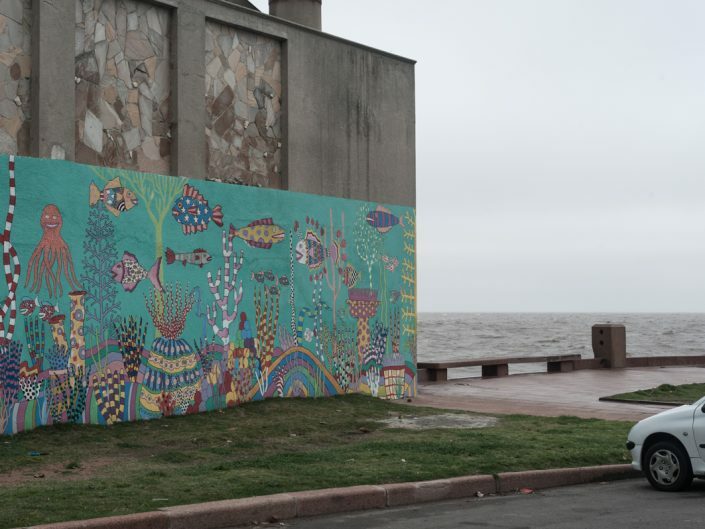 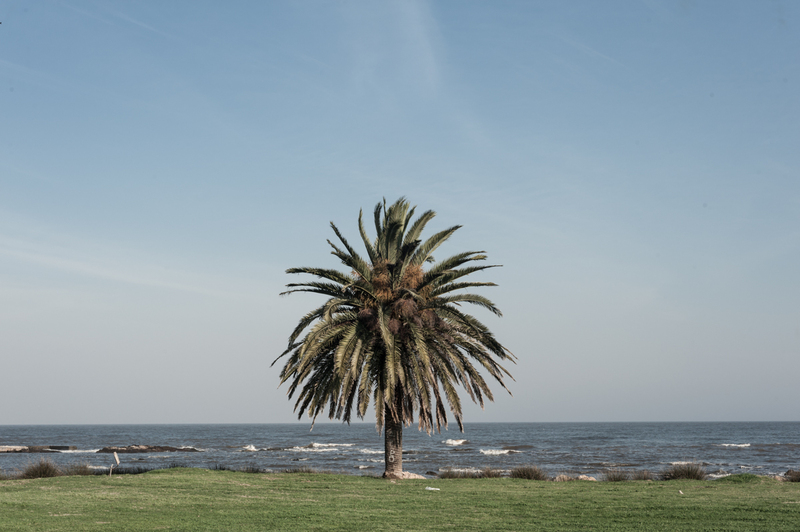 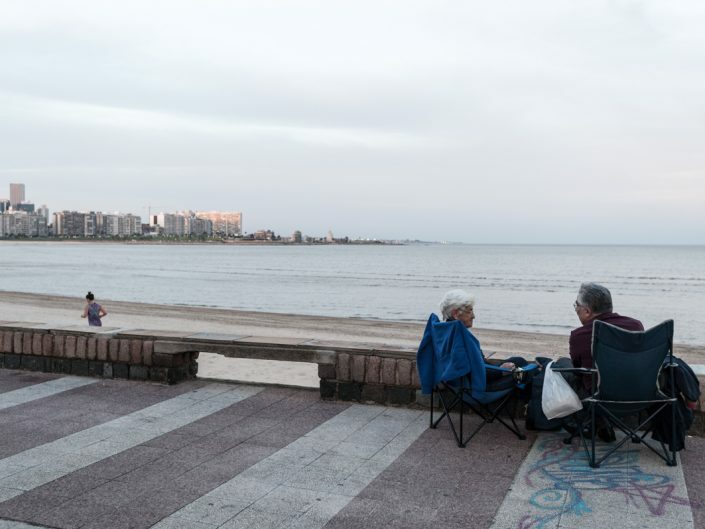 Yes, maybe Montevideo is just another city, sharing the privilege of facing the sea, and the Rambla simply one more boardwalk…yes, maybe; but, for sure, the sense of slowness of time feels particularly strong in this place, from which life seems a bit more friendly and beautiful.